Our CBD capsules are so convenient to get your daily intake of CBD, they are also vegetarian/vegan friendly, and easy-to-swallow. For any first-time users they are very convenient, as there is no taste or odour from any of the natural raw CBD extracts. They still have all the major benefits that they are associated with. The recommended serving for CBD Capsules is to consume one, 1-2 times daily. Hemp Oil Capsules – (30 x 10mg) 300mg CBD+CBDa 30 x 10mg CBD+CBDa Full extract Hemp oil infused into coconut Oil and capped in Vegan Capsules. Our CBD Capsules are a comfortable and easy way to take CBD and are good when you only need a small concentration of the product over a longer period of time. Long lasting effects and excellent for those who do not like the taste of hemp. See the product description below for more information. 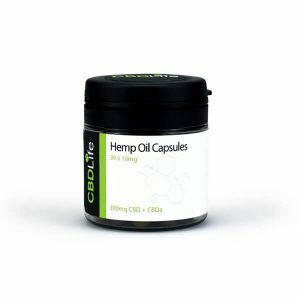 Hemp Oil Capsules – (30 x 25mg) 750mg CBD+CBDa 30 x 25mg CBD+CBDa Full extract Hemp oil infused into coconut Oil and capped in Vegan Capsules. Our CBD Capsules are a comfortable and easy way to take CBD and are good when you only need a small concentration of the product over a longer period of time. Long lasting effects and excellent for those who do not like the taste of hemp. See the product description below for more information.